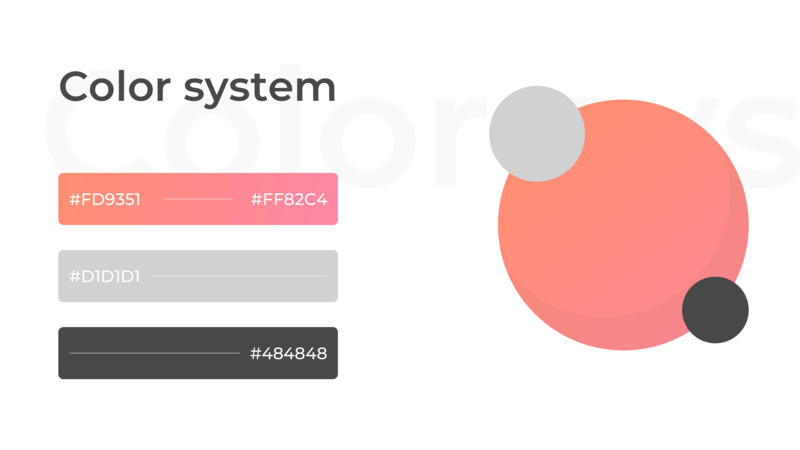 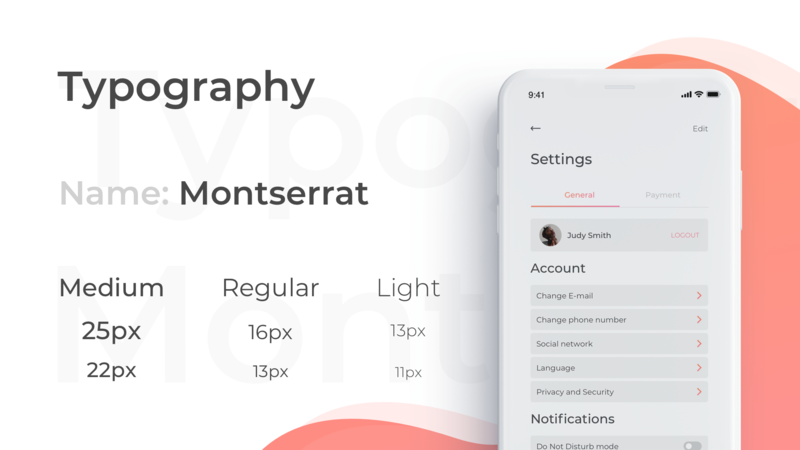 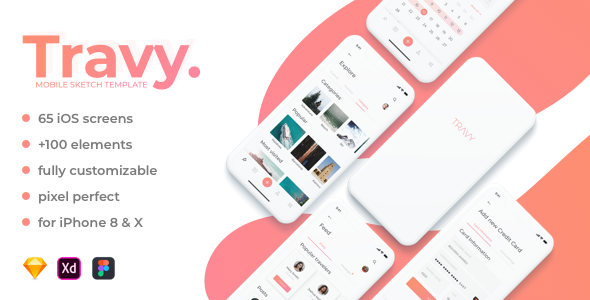 Travy is a premium modern Sketch compatible mobile UI kit template also available for Adobe XD & Figma designed for the iPhone X/XS and the iphone 6/6S/7/8 running iOS 11 or later. 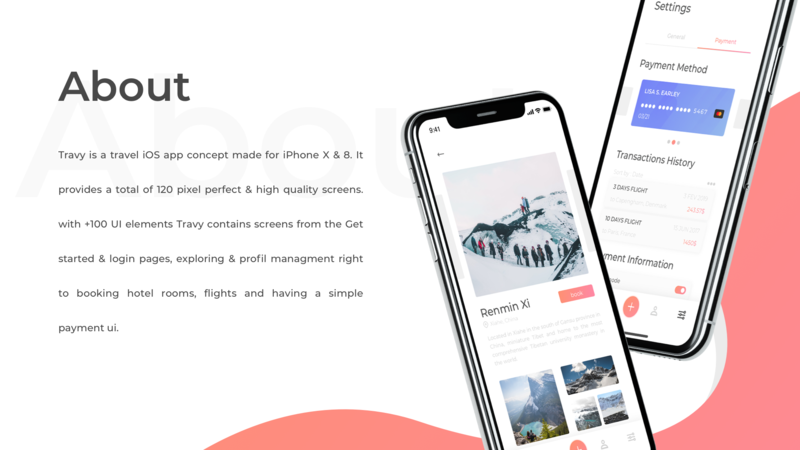 It contains 65 high quality pixel perfect and well organized screens and its fully customizable. 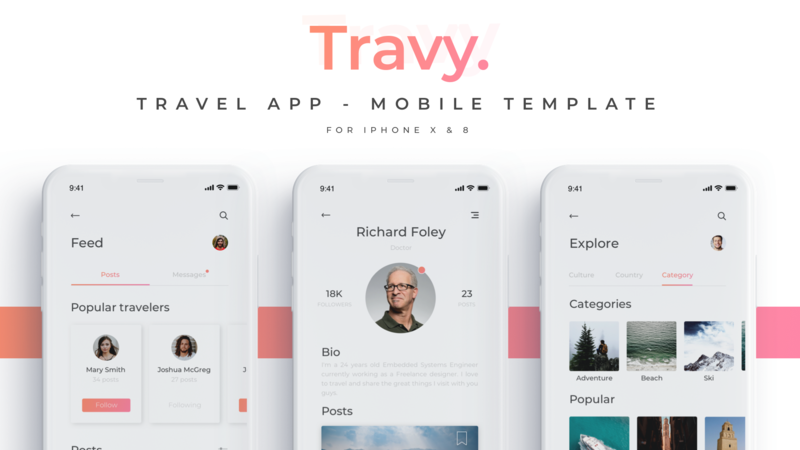 Travy contains everything an app needs from the getting started & login pages, profil management, explore pages right to the payment, booking flights and hotel rooms pages.